Sorry to announce we have lost another Lyme Warrior | What is Lyme Disease? It is with great sadness we inform you of the passing of Dr. Kim Saxe of Brookfield, WI. 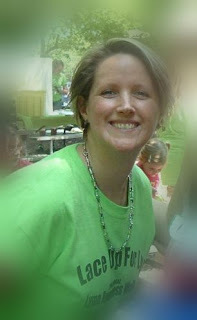 Kim was a great friend and one of our finest Lyme treating practitioners. She studied and counseled with some of the finest Lyme treating practitioners in the country. This she did in the hope of bettering our lives. She often worked grueling hours in her practice. This she did in the hope of bettering our lives. She packed her office to overflowing in the hallways for support group meetings after these grueling days. This she did in the hope of bettering our lives. She often delayed treatment of her own Lyme disease to treat ours. This she did for her love of us all. No patient will forget her devotion, her warm smile and her massive hugs. If Kim was asked to help destitute patients, her response was “sure, send ’em my way!” So many regained health under Kim’s care. Her energy and determination were boundless. Our gratitude is as well. Dr. Jill Evenson and Dr. Michele Nickels are organizing a memorial fund in Kim’s name. The fund will help pay for unpaid medical bills for Kim’s family. Further details on the fund are forthcoming and will be posted shortly. Details on funeral arrangements are pending and will be posted as well. At this time, our thoughts and prayers are with Kim and her family. Special thoughts and prayers for Kim’s young son, Ethan. Children will be born one day in a normal healthy state. Children with strong enough legs to turn the pedals on a bike. Children that can run without aching joints. Children that can learn to read without crushing migraines. Children that can live without fear and ridicule. Kim treated their parents. That’s Kim’s legacy. That was her dream. I used to think that the Lyme community was made up of ordinary people thrust into extraordinary circumstances. In truth, it’s the opposite. It’s extraordinary people thrust into ordinary circumstances. Kim was one of those extraordinary people. I have Lyme, but it doesn't have me. The journey through life while being affected by Lyme is challenging and painful. Lyme affects every aspect of your life. So many people are ignorant of just how serious this disease can be until something this tragic happens. My condolences to her family and friends. May God grant His peace to you in this dark and terrible time. This makes my lyme disease since 2004 so much more real to me, as I am under no treatment right now. But she did what I wish to do, I want to help others with this disease and she did exactly that. I want to be able to research and I will one day / challenge is possible when done with god. Everyone who had the chance to know her, meet her, are very lucky to have known such a selfless person and please – celebrate her life as she would have wanted. Try your best to keep your tears in the car or at home = it’s hard. This is very Inspirational to me – Her Life. Send you all my condolences from a Lyme fighter in Norway! I am very saddened to hear of losing another person to Lyme disease. My heart and prayers go out to her family. Each time I hear of another person dying makes me want to fight harder. I promise I will continue to fight the battle against Lyme disease by continuing to spread awareness, more education and press forward to have our govt realize that Lyme is devastating and must be taken care of. Please know my heart goes out to all and remember, you are NEVER alone in the fight against Lyme. My condolences…Very sad to read this.